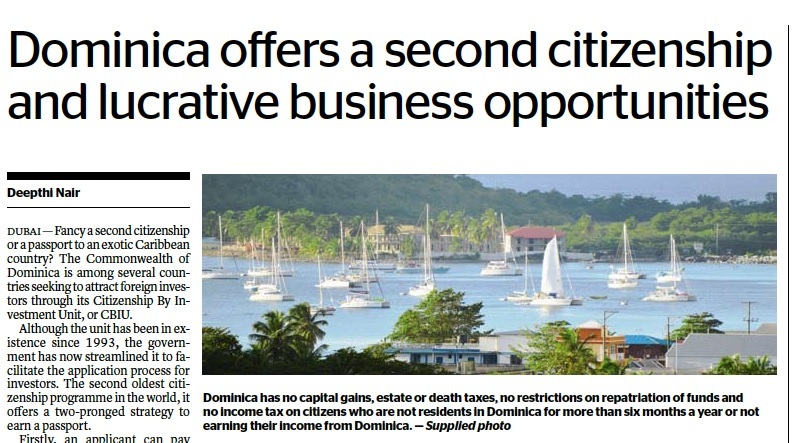 Like several other countries in the Caribbean, the Commonwealth of Dominica, an independent island-state with just 72,000 inhabitants, runs an economic citizenship programme enabling foreigners to acquire citizenship of the island and the passport to go with it by paying money into a state fund or making a sizeable real estate investment. The country's passport policies have in the past occasionally raised eyebrows abroad - and are currently a hot topic in Dominica's highly polarized domestic politics. In an in-depth interview, two senior Dominican officials provide a rare glimpse behind the scenes of the programme. 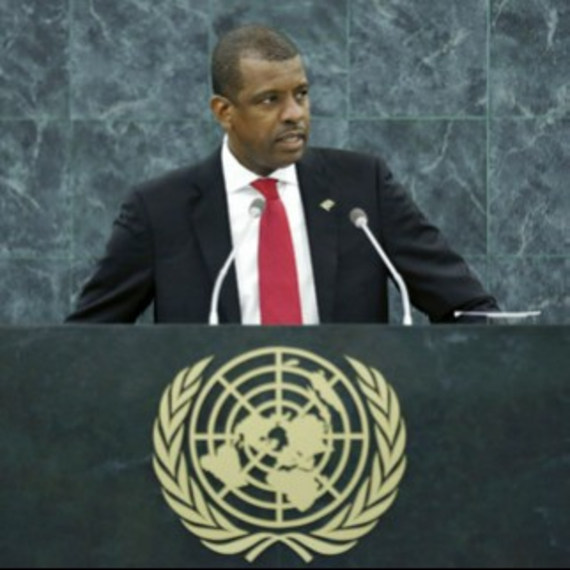 Vince Henderson is Dominica's permanent representative to the United Nations. Emmanuel Nanthan heads the country's Citizenship by Investment Unit. They reveal how the programme works in practice, and discuss its potential contribution to the broader economic development of the island. Note that I did not fact check any claims made by the interviewees; all facts and opinions reproduced here are their own. Q: What is the scale and scope of Dominica's Citizenship by Investment Programme? VH: After Tropical Storm Erika [which wiped out an estimated 90% of Dominica's GDP in August 2015] the Citizenship by Investment Programme was a lifeline. It's a major source of state revenue. We have managed the program in a manner that is responsible and this is why the program is so successful. 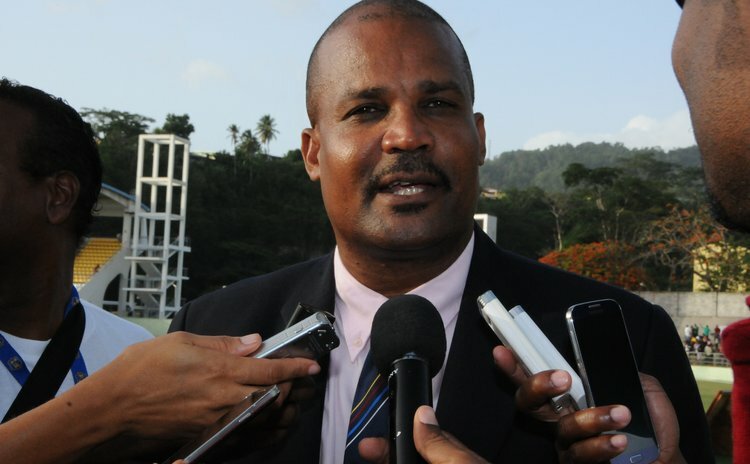 The investment option [in addition to payments into the state budget] was introduced in 2014 as an incentive to attract foreign direct investment into Dominica. Since then, it's been the main source of foreign direct investment into the country. We also use the programme to finance domestic investment. Q: Under the investment option, which projects have been approved to date? VH: We have approved the Kempinsky and the Hilton. The Hilton project is led by a Dominican-owned company. We are now also in the process of approving Silver Beach and Bois Collette. Q: What are the approval criteria? VH: We have a very rigorous process of approval. We learned from the experiments of other neighbours, and also from our own, including the Layou River hotel project [a high profile citizenship investment project spanning several administrations during the 1990s and 2000s that ended in failure]. Q: What were the lessons you learnt from Layou River? VH: First, you need a strong project design. Also, there must be strong checks and balances, so we put a review committee into place. Then, you need a strong legal framework, that was missing during the 1990s. Strong government supervision and monitoring are essential. That applies both to monitoring the construction process, and to establishing strong financial controls. Funds are put into a government escrow account and are only drawn down in tranches. This way, the government is acting as a trustee of the people. Finally, you need strong promotion of the programme [to attract enough investors]. Q: Do the developers have skin in the game themselves? VH: Prospective developers must have equity. The companies involved have invested money of their own up front. For example, they must front the entire marketing budget, that can easily exceed a million. EN: Range Developments [the company managing the Kempinsky project] has already invested millions but has not drawn down a single dollar from the escrow account yet. In the case of the Hilton project, we signed the contract in January 2016; they have already bought the land, and we haven't even set up an escrow account for that project yet. VH: Projects must create local employment during construction and operation. Developers must have a relevant track record of success. We set tight criteria, so after two years, we have only fully approved two projects. Q: Why do you use private agents at all? Why would a sovereign government outsource elements of a programme centred on citizenship? VH: We learnt from the UK, US, and Canada. Applicants to those programmes also go through private agents. Agents know their customers and due their own due diligence on them, in addition to the checks we perform on all applicants. It's impossible for the government to travel all around the world. Also, it's more practical to run the programme this way. The names of the agents are public, and they are licensed and monitored by us. EN: Working with private agents adds an additional tier of due diligence. We are trying to run the best programme in the world. Our rejection rate for applicants is only 2% because agents are aware of our expectations. At [citizenship] conferences around the world, we are often told that Dominica's CIP is the most transparent programme of its kind in the world. We try to run a very clean programme. We tell [private intermediary] agents that if they bring us bad clients, clients whose applications we are later forced to reject, we will delist them as official agents to the programme. VH: We are keen to maintain the good reputation of the programme. The rejection rate is so low for that reason as well. Most people realize that our due diligence digs deep into their personal lives and business dealings, and those who have something to hide don't apply in the first place. EN: We also have our internal process of going through due diligence reports. There were cases in which I got a due diligence report and was not satisfied personally that the report was sufficiently detailed, so I sent it back. 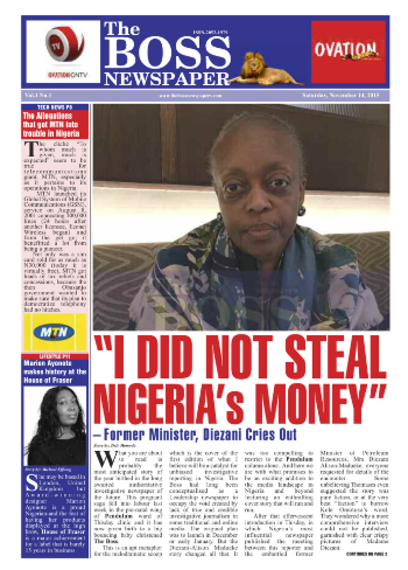 Q: There has recently been some controversy about former Nigerian oil minister Diezani Alison-Madueke, who was the holder of a Dominican diplomatic passport when police arrested her in London. Was the due diligence on her performed the same way as for economic citizenship applicants, or is there a different system of background checks for diplomatic passports? EN: The same [private] companies perform the same background checks in both cases. These companies are vetted carefully, you can find their names on the CBIU [Citizenship by Investment Unit] website. 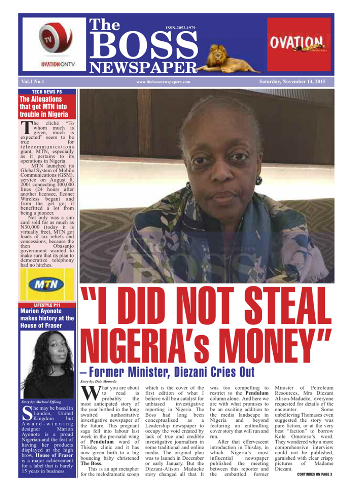 In the case of Alison-Madueke, the Ministry of Foreign Affairs handed her file over to a due diligence agency to perform the background check. Q: Your critics say that Alison-Madueke had long been suspected of large-scale corruption. Doesn't her case indicate that your due diligence process is too weak? EN: You need to remember that when she went through the background check, she had not been charged with any crimes. She was a highly respected individual. Forbes had named her woman of the year, she had been the chairperson of OPEC in the past. VH: She was a public figure who was well known internationally. At the time there was no question about her bona fides nor was there any charge or allegation against her of which we were aware. When a due diligence check is conducted on someone today, it looks at the past. It's not a predictor of the future. Such criticism is not fair on the government. It's like having a friend and you do not know they were involved in a criminal activity, that doesn't make you a bad person. When we heard of the arrest, we immediately suspended our relationship with Alison-Madueke. Q: The opposition claims that she was issued her passport only six days after she met [Dominican] Prime Minister Skerrit in London, and that this indicates that no serious due diligence was performed. What is your take on this? VH: The process had been started long before she met with Prime Minister Skerrit. The date of the meeting and the date of the passport is no way an indicator of the length of time of the due diligence process. Q: The opposition has also highlighted that Alison-Madueke's appointment as Trade and Investment Commissioner for Dominica by Prime Minister Skerrit only became public knowledge months later, when she got arrested. Why would you want to keep such an appointment secret? VH: Admittedly, our record on publicizing these things is not the best. For example, when we appointed Ms Frances Del Sol as Trade and Investment Commissioner in Canada, we did not immediately publish the decision. Neither the integrity of the process nor of the person herself were ever questioned in that case, it was just a weakness on our part. We are now reviewing the process and in future may publish such appointments in parliament. Q: Have you now taken away Alison-Madueke's passport in London? Or does she still have it? VH: I cannot confirm that the passport has been returned yet. That would involve the Dominica High Commission in London. We are now upgrading our passports to biometric passports, which means that in future, we can easily cancel them from afar. Q: Is Alison-Madueke still a citizen of Dominica? 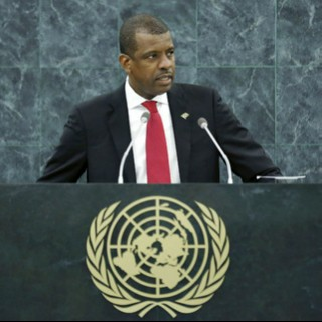 VH: Alison-Madueke was never a Dominican citizen in the first place. Diplomatic passports do not come with citizenship, they are issued to facilitate work on Dominica's behalf. Q: Some people see the issuing of diplomatic passports to non-citizens per se as a questionable practice. VH: We need to promote Dominica abroad, to promote foreign investment. For that, we need volunteer promoters, both Dominicans and foreigners. In the past, I've had to draw maps for people to show them where Dominica is, we want that to change. At the same time, we've learnt from past experience and tightened up the process. Q: Returning to economic citizenship, some other programmes in the Caribbean bar applicants from certain countries, for example Syria or Iran. Dominica does not. Why not? EN: We had excluded some countries before we tightened the due diligence, but now we have removed the list [of excluded countries because we feel the process is strong enough]. The due diligence check involves not only a criminal record check, but also the schools somebody went to, the companies they worked in. VH: We issue passports to people, not to countries. There are good people in bad countries who want to get away, just as there are bad people in good countries. If the due diligence company performing the check does not have an office in a given country, like Syria, it subcontracts a company that is locally present. Also, we proactively share information with our partners [in foreign government agencies]. They do their own investigations and we cooperate. We have recently gained visa-free access to the Schengen area [in the European Union] and several other countries, this clearly shows that foreign governments have confidence in the integrity of the process. Q: Where are the passports printed? VH: All passports - regular, service and diplomatic - are printed at the passport office of the Commonwealth of Dominica Police Force in Roseau, Dominica. The equipment producing the passports was installed and is serviced by Canadian Bank Notes, a Canadian company which produces passports throughout the world. Q: Have you ever revoked citizenship? VH: Yes, in one case, in the early 2000s. Dominican law allows us to do that. Q: Dominica's programme slowed to nearly zero in the late 1990s, but recently seems to have picked up pace. What has changed? VH: When Dominica started [the programme] in 1993, the aim was to attract investors from the Pacific Rim. Then, after a new administration came in and Layou River failed, we just withdrew. In the late 1990s, fewer [private] agents came [to us with applications], and in 1999, we lost visa free access to Canada. Our competitors had advantages in terms of infrastructure, and they also marketed and promoted their schemes better. EN: The government decided to take the programme seriously. It created a new office to handle the process and engaged a new [private] promoter [for the overall scheme]. We work with agents who have been in the business for a long time and know the market, like Range Developments. We are confident that they can do the [Kempinski hotel] project in 2-3 years. Q: How big can the programme get? EN: At present, projections are good. I'm not sure if it will get as large as in St Kitts [and Nevis]. How long the programme will last depends on its integrity. Right now, after [Tropical Storm] Erika [which devastated infrastructure in summer 2015], it is very important in helping us to repair infrastructure. It is also giving oxygen to tourism development. Today, thanks to the economic citizenship programme, we are finally in a position to implement development plans that were first drawn up forty years ago. Some of the [planned] hotels are located in exactly the positions pinpointed back then. VH: We can't take this money for granted. We must use it to make smart investments, for example into geothermal energy, and to diversify the economy. Last year, we spent over EC$ 4 million [approximately US$ 1.5 million] of income from the programme on small business development and targeted another EC$ 5 million for the National Employment Program. This programme has great potential to help to transform Dominica. Q: The opposition often suggests that some of the proceeds are lost to corruption. VH: The names of people receiving economic citizenship are published in the official Gazette to show that there is no corruption. The money goes into a special account, and from there is moved into the government budget. Making the transfer requires two signatories from the Ministry of Finance. The account is subject to scrutiny by the Director of Audit and is published as part of the records of the government and is available to everybody, including the Leader of the Opposition, who is Chairman of the Public Accounts Committee. Note: I am currently working on articles related to economic citizenship programmes in the Caribbean for several international media outlets. Keep an eye on this blog for more interviews - and maybe a surprise or two - over the coming days and weeks. If you have experience of working in the sector or have yourself obtained a second citizenship in the Caribbean, and would like to share your experiences, please get in touch.